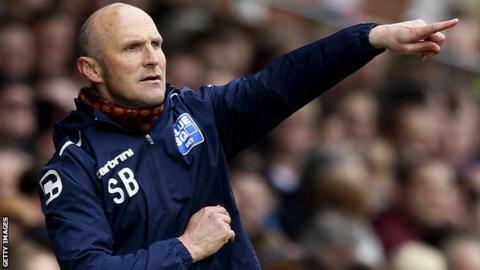 Chester manager Steve Burr has described their 4-2 victory at Stockport in the FA Cup fourth qualifying round as "a real humdinger". Burr's side were 2-0 up inside 28 minutes before being pegged back early in the second period. But goals from Matty Hughes, his second of the game, and Ben Heneghan ensured their place in the first round proper. "I thought it was a fabulous cup tie. A real humdinger," Burr, 54, told BBC Radio Merseyside. "Although I admit I wasn't thinking that when we let those two goals in. "Credit to both teams. We had a rocky patch there, but I thought first half again we were tremendous."